MOSCOW, July 24. /TASS/. Russian President Vladimir Putin has expressed condolences to the Greek authorities over the deadly wildfires the country has been facing and offered help in combating the blazes, the Kremlin press service said in a statement. Putin sent a message to Greek President Prokopis Pavlopoulos and Prime Minister Alexis Tsipras. "The head of state stressed that Russia shared the grief of the Greek people and conveyed his sympathy and support to the families and friends of the victims, as well as wishes of a speedy recovery to those injured," the statement reads. "The Russian president also expressed readiness to provide the necessary assistance in dealing with the aftermath of the natural disaster," the Kremlin press service added. Greece has been in the grip of hot weather since early July, temperatures hit highs of up to 40 degrees Celsius (104 degrees Fahrenheit) in the past few days. On Monday, wildfires broke out on the outskirts of the country’s capital of Athens (in Kineta, about 50 kilometers west of the capital, in the East Attica area and near the town of Kalamos). 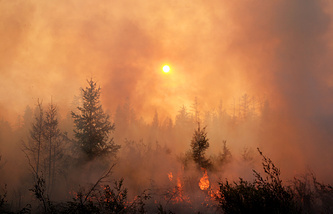 Besides, forests are on fire in other regions of Greece, including the Corinthia area in the region of Peloponnese and the city of Chania on the island of Crete. However, those fires pose no danger to populated localities. Water-dropping aircraft are supporting the efforts of firefighting units combating wildfires on the ground. 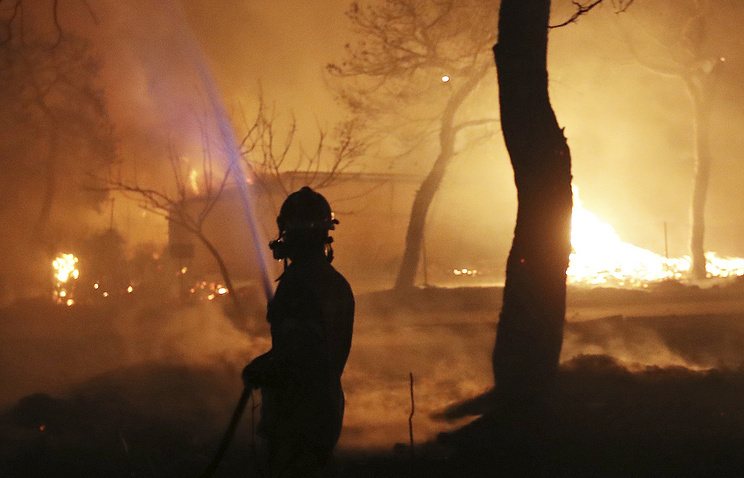 According to media reports, the Greek wildfires have killed more than 60 people.